Today is the 1st day of August and to continue with my daily routine of killing bugs with a glass full of water and watching Dave and Cody on Discovery Channel , I plan to write something. I tell you that I have really made and met many people here on blogworld .Sometimes it makes me wonder if I were the same in real world and virtual world. We can't express ourself in real world where everything and everyone seem to you like a crocodile waiting for you to eat you.There seems to be some sort of disturbance and your innocence fail in front of that. Let me tell you that the worst thing in life is to express yourself. You do that perfectly in Blogs and like minded people read you and appreciate you. To make few friends you must have atleast come across few enemies. This is the tagline of the movie "The Social Network". Quite True. Why on Earth would anyone tend to make enemies?. I am here to make friends and not enemies. I am an Indian. People think that Indians and Pakistani's are one of the worst enemies. First let me tell you that we were one before division way back in 1947. How great it would be if there was no division. Things would definitely would have changed . I am here to talk about Indo Pak friendship. I have made many good Pakistani friends recently. So when I say blogging and Pakistan ,there are few things which flash on my mind. And these few things relates to my blogger buddies. So here goes my post about these wonderful girls. Asbah is my best friend who hails from Islamabad and my partner in crime .Our thought process is same and we founded 'The Writers Lounge' on 17th July 2008. This was one memorable day for us. Asbah, whom I admire and who inspires me has always been my best buddy in blogworld. I still remember the first time when I spoke to her.She was too sweet and guess what .Today I spoke to her after a long time and I felt good. Asbah,our dearest Islex is someone whom we love. Insiya, my cute little blogger sister hails from Karachi. She is a wonderful writer and a sweet person. She was the one who wished me on my birthday few years ago and I found it great. I lost touch with her but I surely would love to meet her and talk to her. Apart from these beautiful girls who hail from Islamabad,Karachi and Lahore...I have few other friends too but they are not close to me unlike these wonderful women. They are the best. 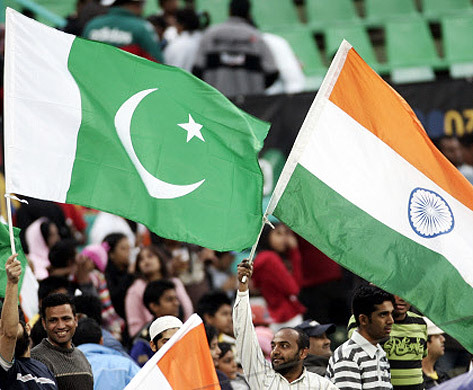 God bless our friendship and God bless India and Pakistan. Yeah you are right I have made so many Indian friends on blogger! Thanks for your lovely posts on my blog! This is so WONDERFUL to read! It is rightly said that in this blogsphere, away from the political rifts of the so-called real world, we can see peace prevail. There isn't much difference between the neighboring countries. We were, after all, the same country once. My soul sister resides beyond the border in India and I have a deep respect for Indians in general. Commendable thoughts. I totally agree with you that one thing great about blogging is that it's contradictions free. There's no boundary of religion or faith but we all like knowing each other as an individual. It's more like socializing and bringing our different cultured people together, which unfortunately, people who are 'supposed' to do that, can't. Nice article :) Way to go!